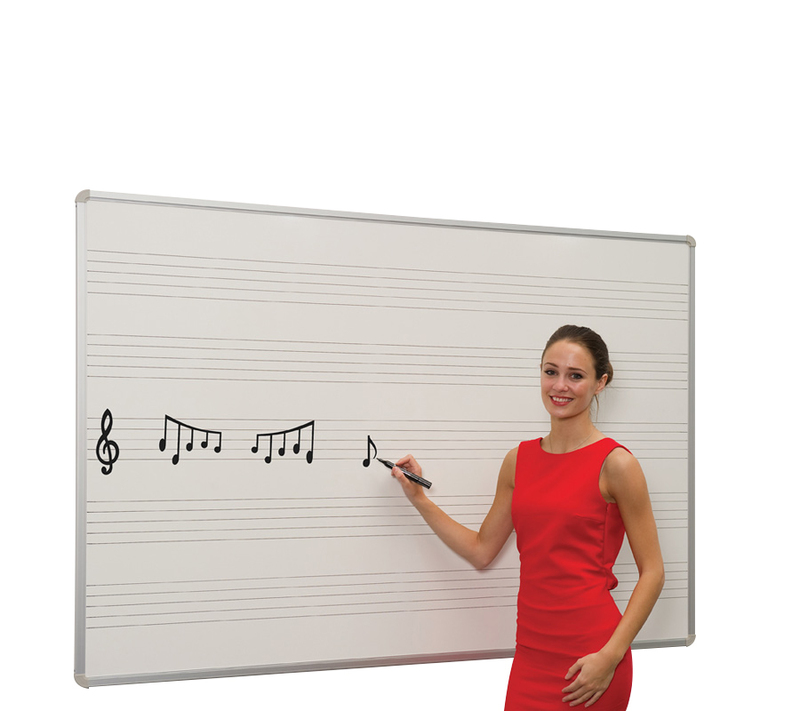 This writing board comes with a choice of pre-printed black markings on one side. Choose from music staves, 50mm squares or 75mm lines. 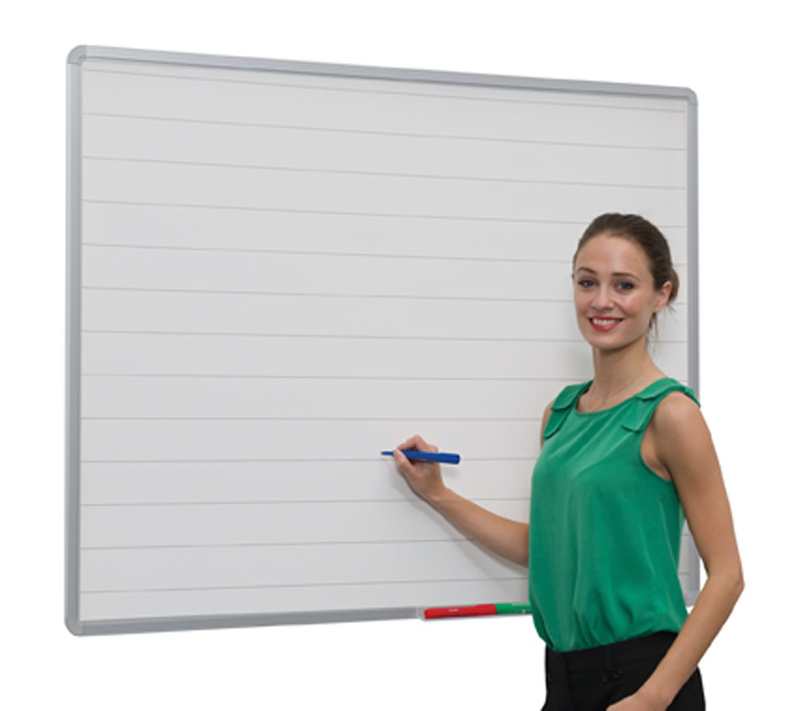 Available in a range of 6 sizes, this whiteboard has a satin silver anodised aluminium frame and rounded safety corners. A wall mounted board with hidden corner fixings and the wall fixings are included. Pen ledge also included. This board has a 5 year surface guarantee. 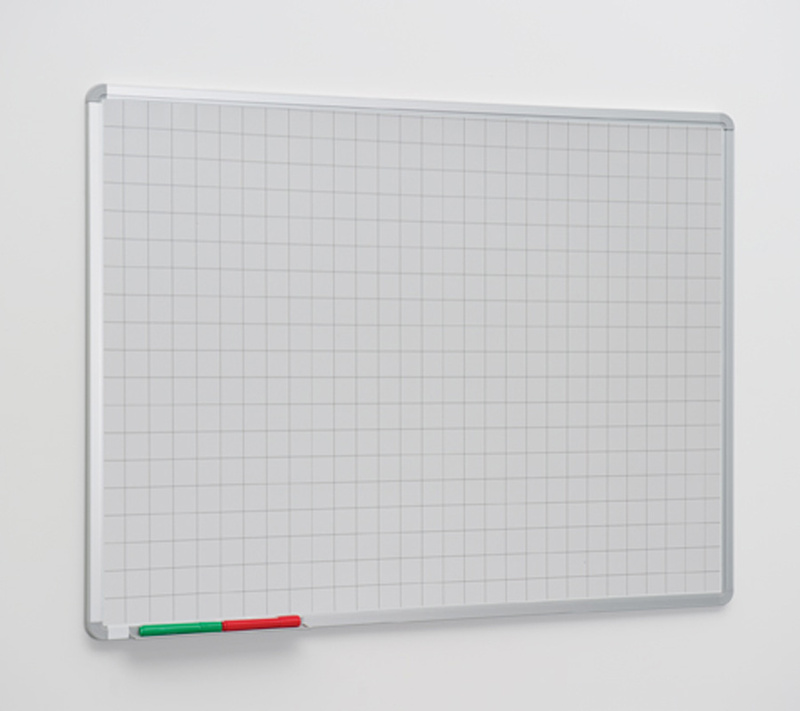 Ideal whiteboard for use in classrooms and schools.